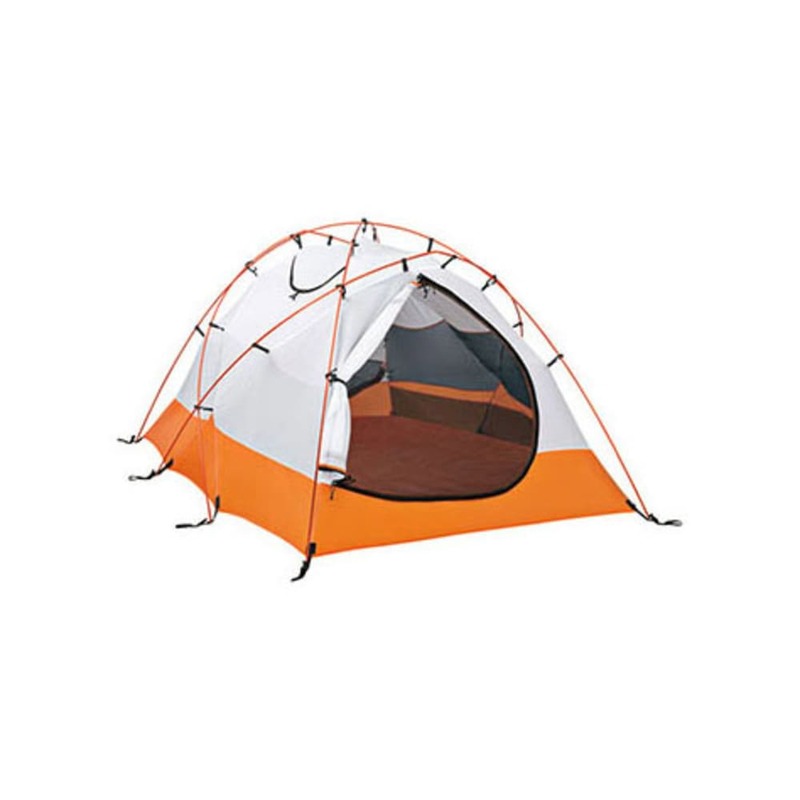 The Eureka High Camp tent is an advanced four-season tent designed to handle the most extreme conditions. It was designed and tested by one of the world's premiere mountaineering expedition leaders, Eric Simonson, and his staff at the International Mountain Guides. This product will be shipped directly from Eureka and will leave their warehouse in 2-3 business days. Eligible for UPS ground shipping only. Packaged Weight: 9 lb. 8 oz. Trail Weight: 9 lb. 8 oz. Floor Area: 43.27 sq. ft.
Vestibule Area: 17.62 sq. ft. Peak Height: 3 ft. 8 in.